Tiger Building Services are a family run business who specialise in loft conversions, rear, side and house extensions, property maintenance and general building services in Surrey. Our team are crafted experts in their field and come with years of relevant project experience. We offer a full service from design through to completion. We specialise in complex loft conversions and thanks to our many years of experience, we are comfortable with any difficult or challenging project that might occur. We offer bespoke dormers, staircases, entry points which means the space will be as fully utilised as possible. 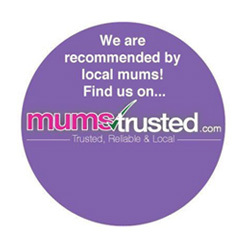 We are based in Epsom, but cover the surrounding areas of Wimbledon, Raynes Park, Surbiton and further afield in Surrey, South London and Sussex. We are always on hand to come to our customer’s locations at short notice and we are available to visit your home to provide a quote free of charge. If you are unsure on the potential route you want to follow, whether it be a loft conversion, home extension or just some general maintenance work, our team of experts are always on hand and available to take a call to offer some advice and provide peace of mind. If you need extra space, by adding an extension or converting your loft you can do this in the most cost effective and least time consuming way by using Tiger building services. With our high years of experience, we can provide details of many previous project successes that should help make the major decision for your project easier. Please take a detailed look through our website and if you have any queries or questions, please reach out to the team for a friendly discussion. At Tiger Building Services, we’ve been supporting and working with customers through Surrey for over 10 years. We always aim to provide the highest quality and standard of workmanship possible.